Printers have become an important part of offices, households, schools, and businesses. Reproducing documents, spreadsheets, and even photographs these days only take a few clicks. With every model upgrade, better printing product quality emerges. There are a lot of elements that make up the best inkjet printer. Purchasing the best printer is a long process which involves choosing the correct resolution, print speed, and a lot more. The market is filled with hundreds of impressive printer units but there are a few brands that stand out. These five printer units are products of the top manufacturers in the industry. 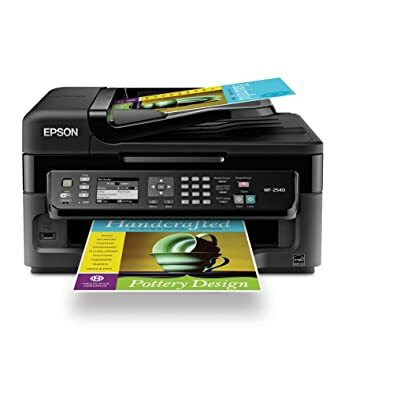 This Epson model comes with enhanced performance, which is largely due to the PrecisionCore technology. There are many people who think that laser printers are slow. While for some this might be true, this isn’t the case of the Epson WorkForce. Not only is the model fast, but it can also connect to your mobile devices. Moreover, you can use it via wireless and Wi-Fi Direct. The printer comes with four ink cartridges: black, cyan, magenta and yellow. It’s a lightweight alternative to traditionally robust printers. It can print, copy, scan and fax, and do so with 500 sheets at a time. Experience one of the world’s fastest printers ever. WF-3540 inkjet printer is another impressive product from Epson which exhibits the qualities of the best inkjet printers. It is particularly designed for faster 2-sided printing time while producing the best print quality for all documents and photographs. With its 500-sheet capacity, you won’t have to reload paper often. 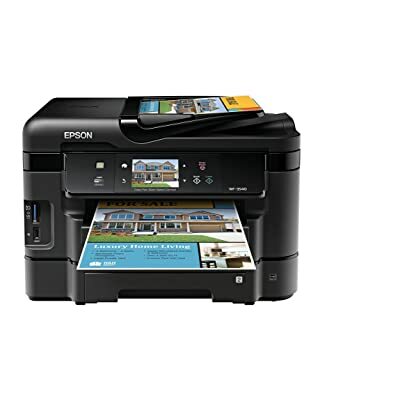 This is a versatile printer, with scanning, copying, and faxing functions. 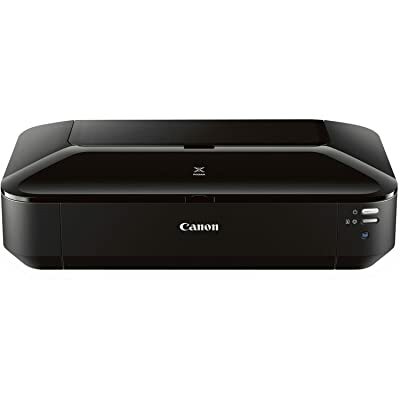 Canon is one of the leading manufacturers of top inkjet printers. One of its latest innovations is encased in the durable PIXMA IX6820. This inkjet printer is packed with features that are typical in a business printer. 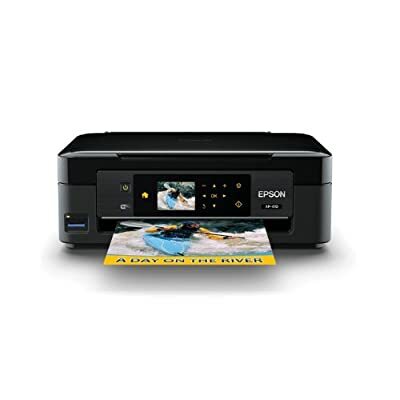 It features a 5-color ink system and a 9600×2400 superior resolution which are qualities that one should look for in a printer to print really stunning photographs. It has a fast printing mechanism with a rate of 10.4 colored images per minute. More and more wireless printers with excellent internet andBluetooth connectivity are being introduced on the market. One of these printers is the Brother MFCJ870DW inkjet printer. This all in one printer has an amazing print resolution of 6000×1200 dpi. This printer is very easy to operate with its user-friendly design and wireless assistance feature. It has convenient web applications which allow smooth and easy operation. 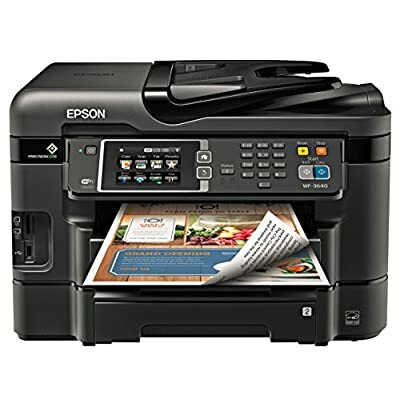 The Epson Expression is a noteworthy candidate for the title of the best inkjet printer. It’s also among the cheapest products of the line. Fit both for printing documents and for printing photos, the product can connect to any Wi-Fi network, therefore helping customers get rid of some pesky wires. It can also be controlled via tablets. It’s also among the smallest printers on the current market. Tech aficionados can rejoice: it even comes with a 2.5-inch LCD and a touch panel. The product works for printing and scanning. Before printing pictures, users can adjust their quality and add effects. The Epson WF-2540 inkjet printer flooded the inkjet printer reviews with positive feedback with its great features and smooth execution. Its compact design is perfect for space-constrained offices and home desks. Fast printing speed is one of its highlight features. There are no recorded issues regarding its scanning, copying, printing, and faxing performance. The wireless setup is considerably easier than any other model on the market. Brother is considered to be a reliable manufacturer of office appliances and has put up a lot of impressive printer units on the market. 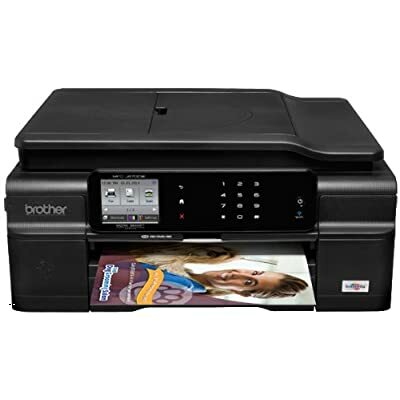 The Brother Printer MFC650DW is just one of its most innovative designs. 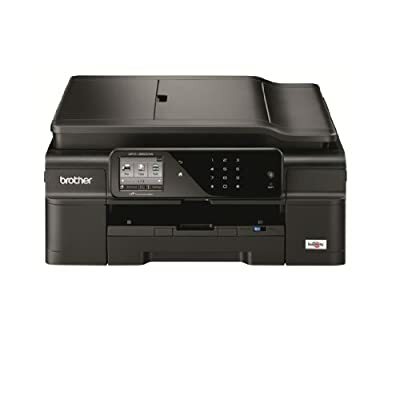 Aside from the fact that it is one of the budget models from Brother, the printing performance of the MFCJ650DW is like the high-end models on the market. There are reported paper jam issues, but overall this is an inexpensive and easy-to-use printer. Printers are pretty much a necessity in majority of office works, school projects, research, business, and even at home. And since photography is now a widespread hobby, printing and edited pictures is just a few clicks away. Over the years, the design and functions of a standard printer has improved in many ways. There is now an easy access, wireless connection printing. You can also access your files form different devices and print them using the internet. There are a lot of products out there which qualifies as the best inkjet printer. What exactly makes a printer the best? Resolution. Most of the printing done are for colored images and photographs. Harnessing the privilege given by the advanced printing technology today will be useless if the printouts produced by your printer have poor quality. Choose an inkjet printer with high resolution. The most recommended models should have a text printing resolution of at least 600×600 dpi and graphics and photo printing of 1200×600 dpi. Print Speed. In a busy and loaded workplace, time is of the essence, and documents have to be printed as quickly as possible. Choose a printer unit that has the most pages per minute capacity. Print speed is an essential factor depending on the main purpose of your printer. The print speed is usually determined by the quality of printing results you intend to have. If you are going for a low quality printout, your printer will work faster. Memory Card Slots. One of the most convenient qualities of the best inkjet printers is its ability to be able to read memory cards. It is much more convenient than having to turn on a computer, insert the card, and connect it to the printer for printing. An ideal inkjet printer should be able to support different types of memory cards. Connectivity. The newest feature of the latest models for inkjet printer these days is the wireless connectivity. Aside from USB ports and Firewire, your printer must also be able to support wifi and Bluetooth connections. This makes printing of files and photos a lot more convenient and faster. Paper and Print Media. There are a lot of types of paper and print media. Papers come in different texture, sizes, thickness, and absorptivity. Choose a printer that can print on paper with various sizes. It should also be able to work in printing thick printing media like invitation papers, greeting cards, and whatnot. Aside from that, choose a printer that has a simple printing orientation. You shouldn’t be confused on which side of the paper to print on, especially if you are doing back to back printing. Size. You need a lot of devices and equipment but there is a limited amount of space that you can occupy. Think smart. Buy a printer which can save a lot of desktop space without compromising its functionality and its performance. There are printer models on the market with smart, space-saving designs.